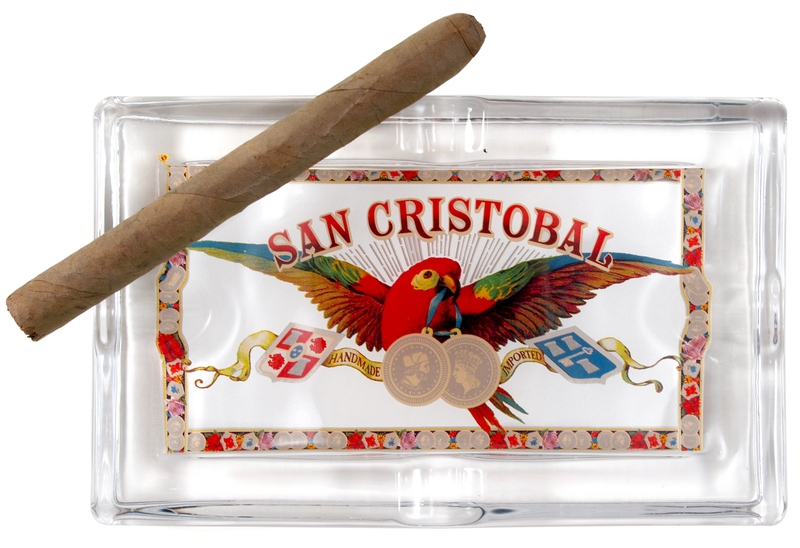 Enjoy your favorite cigars with your guests with this San Cristobal ashtray. Made of durable and attractive glass, this ashtray also displays the red San Cristobal parrot label. It looks great with all table finishes, and will add character to any room. With indentations for up to four cigars, this ashtray makes a great gift for any cigar lover.